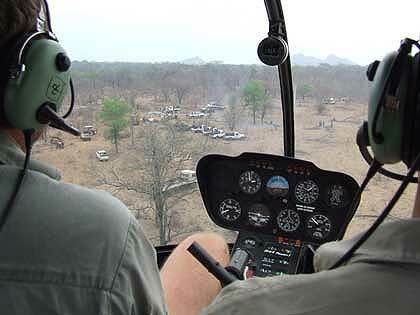 This is an article by Joshua Mostert of the African Wildlife Management and Conservation outfit in the north of Harare, Zimbabwe. Their aim and purpose is as stated in the title, namely to save and relocate animals for what-ever reasons there may be. AWMC as they are known, has their own veterinarian permanently on hand, who is in fact Dr Jacque Mostert, Joshua’s wife. To read more about them use this link to the AWMC. 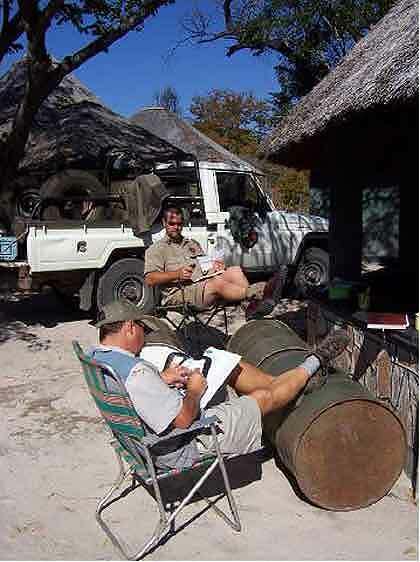 The AWMC is a capture team known for its relocation of elephant family groups in their entirety, so as not to break up family units. This is unique to the elephant capture and relocation program. Further, the this capture team is one of the few companies that are equipped to move adult bulls, due to the great danger and difficulty involved in handling these tricky animals. 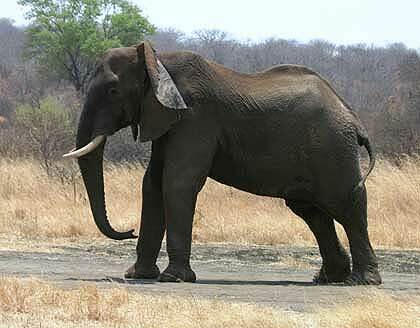 I, personally, am saddened by the way man has not managed the elephant. For an example our largest game reserve, the Kruger National Park has an area to the south near the Lebombo Mountains that has almost no trees left because of elephant. 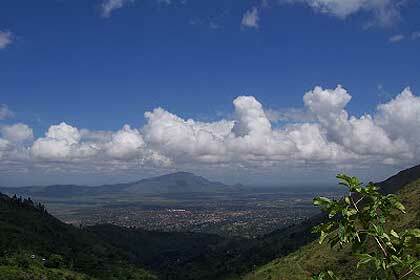 The loss of habitat to other wildlife is a sad case of mismanagement. I am aware that the whole world is to blame in many, many, ways for the elephant problem today, in all of Southern Africa. More notice should be paid to the elephants now, in Botswana as in Kruger or life in the big reserves will become a desert… soon. Late last week, I was having a conversation with an Englishman who had the previous week taken a game drive in the Kruger. One of his remarks went like this; he and his wife saw more elephant than impala in their trip from the Crocodile Bridge to Skukuza and back. I have experienced the same scenario and that is why this article is now here. If you are thinking the elephants aren’t suffering, then think again. That makes this article timely, written by our second eldest a few years ago. How Many Elephants do we Need? I’m sure you probably know that the world in general is hugely against culling of any sort, especially that of elephants… but on the ground here (and in most of Africa) elephants are a huge problem (no pun intended), as there are simply too many. So efforts are being made to find alternatives to culling and one of the solutions is translocation, not always viable, as buyers are few, with the market (and everywhere else) being flooded with elephants. The last capture we did in Victoria Falls, was one where a commercial farm was introducing black rhino onto their property… only thing was, they had too many bull elephants, so we were called in to move some (21 to be exact) of the bulls off the property, but once again there weren’t any buyers, so all we did was catch, & release them again onto “wild” and unfenced government land (don’t tell them). I told you They Have Wings… Well it is a Lift off… Nah… Scratch That. Revival time. (Yes, the Rest of it is There). All it Takes is a Small Injection into the Wing and Voila… They Fly Again. Oops! Steady on… Wings are Collapsing! 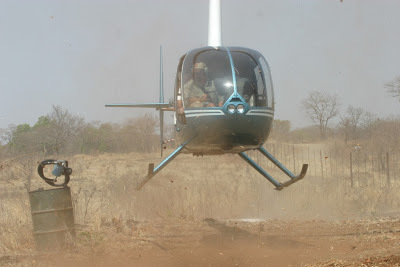 The process of elephant capture starts with darting them from a helicopter… it only takes a very small amount of (???) drug (less than 1.5 ml.) 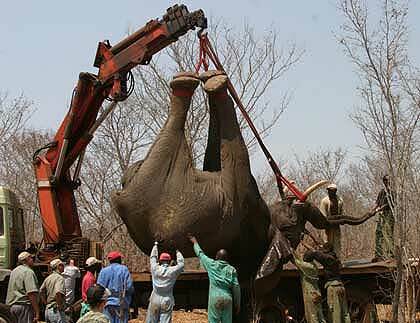 to bring a 5000 kg animal down. 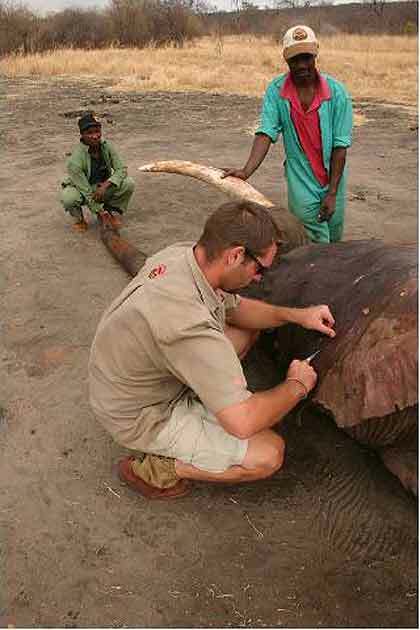 After the elephant is darted, there is a ground team who stays close by to get to the animal as soon as it goes down (8 to 10 min after darting)… just to make sure it falls correctly (very important), then see that the vital signs are OK and so on. In this case though, they didn’t have far to go, so the animals were kept under sedation until we reached our offloading point outside of the farm. 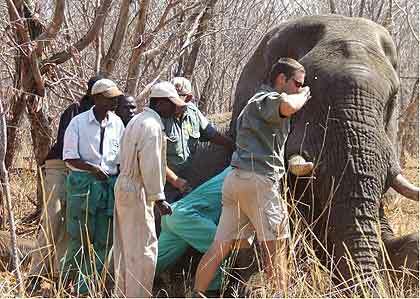 The second last elephant picture that I attached was after the animal had been offloaded… I am just administering the antidote into one of the veins in the ear, it “woke” up and walked off about two minutes after that as you can see in the next picture. Taking Off! Not Flying. The other type. Remember no smoking around these drums! This article is thank to Joshua’s work and input.